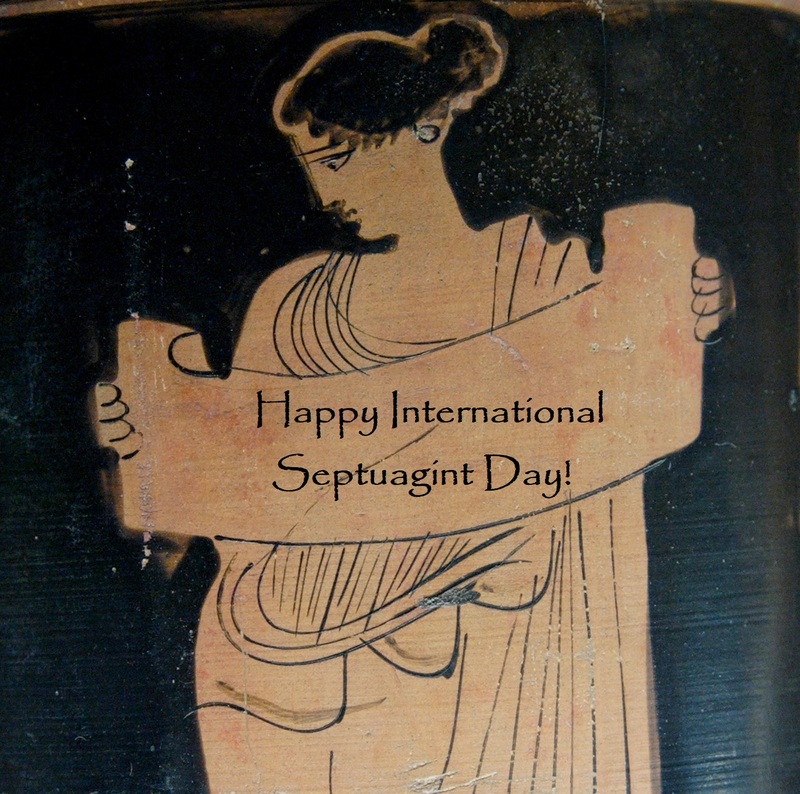 13th International Septuagint Day: An Interview with Dr. Kristin De Troyer | Septuaginta &c.
Septuagint Day has an illustrious history, at least sort of dating back to 533 CE and the Byzantine emperor Justinian, but more distinctly dating back to 2006 through the fine folks within the International Organization for Septuagint and Cognate Studies (IOSCS). This year, we have the distinct pleasure of hearing from Dr. Kristin De Troyer, who is professor of Old Testament at the University of Salzburg, and honorary professor of Hebrew Bible at the University of St. Andrews. She is well known for her research in various areas of Septuagint scholarship, as you will read below. But another worthwhile pursuit with which she is closely affiliated is the Septuagint Summer School, hosted in Salzburg. I’ve posted about this excellent opportunity for study previously here. During my studies of theology and religious studies at the Catholic University of Louvain, I worked on the theories of Michel Foucault. His last books dealt with the Hellenistic and the Roman period and how the “subject” developed in those times. I was intrigued by how he analysed Greek texts and New Testament texts, but seemed to not work with the Semitic texts and traditions. I was curious how his theory would change if taken the Semitic heritage into account. During the same time, I often went with a friend to Paris, where we would visit libraries and “do an opera” in the evening (Opera de la Bastille, for instance, was a favourite), and on one of these occasions there was in the Bibliothèque Nationale an exhibition on Jewish manuscripts. That more or less settled it: I wanted to work with Hebrew and Greek texts and if possible, work with manuscripts. After my double MA, I was asked whether I was interested in doing a PhD—it was actually the professor of New Testament, Prof. Frans Neirynck who suggested it. Initially I was in Louvain, but then went to work with Arie van der Kooij at the University of Leiden, the Netherlands. My training continued after I received my PhD: I learned a lot during my sabbatical years at the Septuaginta Unternehmen in Göttingen, where I could pick the brains of major Septuagint scholars such as Aejmelaeus, Hanhart, Fraenkel and Quast, enjoy seminars where the Hebrew Bible faculty would sit on the right (Perlitt, Smend, Kratz, Spieckermann, and on occasion Levin), and the Septuagint scholars on the left (Hanhart,Aejmelaeus, Fraenkel, Quast, and on occasion, Muraoka). Brilliant! I learned how to work with manuscripts and how to combine translation technique studies with text critical and text historical data. During my first sabbatical in Göttingen (2001-2002—still grateful to the Claremont School of Theology for giving me a year off) I worked on my Schoyen Joshua codex and during the second sabbatical (2005-2006—again, I am very grateful to the Claremont School of Theology and a nice sponsor whose name I am not allowed to mention) on my Schoyen Leviticus codex. Those were my most formative years!!! I still benefit from them! My two sabbaticals produced two editions (see below for the bibliographical info). During my first sabbatical, I also wrote a volume in which I took four different perspectives on either reconstructing a different Hebrew Vorlage or defining the reasons for the rewriting of a text. I also had set myself the goal of writing an easy going little Esther commentary, divided the chapters into 16 weekends, and worked during these 16 weekends on the commentary—crazy! My writing also benefited from the doctoral seminars which I offered at Claremont and in which I dealt with text criticism. I also suggested to the Septuaginta Unternehmen that a summer course ought to be created on text criticism. And then they asked me to teach that summer school twice. I now continue that Göttingen tradition at Salzburg, with my annual first week of July summer schools. Readers of this interview are encouraged to either come to Salzburg and attend the summer school or send wonderful juniors this way! In Claremont, California, in the doctoral seminars, it was easy to integrate work on the Greek text into the seminars. Every doctoral student that attended the Claremont School of Theology or the Claremont Graduate University had to at least take one of these text critical seminars. It was impossible to graduate without it! In St. Andrews, Scotland, where I moved to after Claremont, I also offered one seminar in the MLitt program on text criticism—many of the students enrolled in that program are now doctoral students at excellent universities, integrating what they learned from me in their own work. I also was extremely happy that I received a Mercator Fellowship from DFG, thanks to my wonderful Septuagint colleagues in Wuppertal, and that fellowship allows me to teach a series of seminars and have brilliant conversations with excellent students at Wuppertal! Aside from these summer schools, I also make a point of making my Salzburg MA students, who have Hebrew and Greek, work with the Hebrew and Greek texts. Especially in my Prophetic Literature class, but also in my class on Law texts, I make sure that students see the differences between the MT and the OG. There is also the most hilarious seminar called Handschriftenkunde (“codicology”), which I teach on Wednesdays from 10-12 in Salzburg, in which I pick a text and then explain every single version, along the way also pointing to editions, manuscripts, methods, useful tools, etc. That seminar is attended by some courageous MA students, some doctoral students, post doctoral collaborator(s) and the occasional Erasmus Haifa or Salzburg Syriac Institute student. We often do a verse per semester, if that much. When I started, the big thing was CATSS. Moreover, the discussion was about the Lucianic text, or the so-called Lucianic text, or the Antiochean/Antiochene text. The Spanish team was producing the Lucianic text editions, the Göttingen Septuaginta Unternehmen was the place to be. Going to Oxford meant going in the OUP shop and hoping to get some volumes at reduced prices, especially the DJD volumes. During my first doctoral years, the IOQS was founded and scholars that were interested in Old Greek and Septuagint still could also partake in IOQS sessions. Now, we all have all texts editions on our laptops, we have set on the Antiochene/Antiochean text as the name, CATSS is part of the most used database, and Qumran has become such a large field, that Septuagint scholars only use a small part of it. (I take it is the other way around for Qumran scholars). Times surely have changed. Moreover, whereas the debate used to be about Vorlage or rewriting, the debate is now focused on the scribes at work: what sort of work did they do, who were they, how did they go about their task, what did they have at their disposal, did they omit text, rewrite text, correct text? All really good questions, waiting to be answered. All questions that can be asked in Septuagint, Qumran, Samaritan, but also Classical research, etc. I would like to see more students and scholars alike working on combining textual history with the questions as mentioned under question 4. We need to not only do papyrology or codicology, not only translation technique or Vorlage studies, not only learning how to work with the editions, not only trying to better define the scribes and processes at work, but to combine all the information and add the textual history, so that we can see how scribal systems changed, how editorial interests changed, etc. I finished my volume The Ultimate and the Penultimate Text of the Book of Joshua (Peeters 2018) and need to now focus on my Hermeneia Esther commentary—Sidnie, when you are reading this, I know you will be smiling! I hope to also explain in my commentary how the different texts of the Book of Esther grew. I am grateful to Dr. De Troyer not only for her willingness to share her “Septuagint story” with us on this special day, but also for her excellent scholarship. Kristin De Troyer, The Ultimate and the Penultimate Text of the Book of Joshua (CBET 100; Louvain: Peeters, 2018). Ead., Leviticus (Papyri Graecae Schøyen, PSchøyen II, ed. Diletta Minutoli & Rosario Pintaudi; Papyrologica Florentina XL/Manuscripts in the Schøyen Collection, Greek Papyri V/II; Firenze: Gonnelli: 2010), pp. 1-68 + Plates I-XVI. Ead., Joshua (Papyri Graecae Schøyen, PSchøyen I, ed. Rosario Pintaudi; Papyrologica Florentina, XXXV/Manuscripts in the Schøyen Collection, Greek Papyri V; Firenze: Gonnelli, 2005), pp. 79-145 + Plates XVI-XXVII. Ead., with Armin Lange, Beate Ego, and Hermann Lichtenberger, Biblia Qumranica: Volume 3B: Minor Prophets (Leiden: Brill: 2004). Ead., Rewriting the Sacred Text. What the Old Greek Texts Tell Us about the Literary Growth of the Bible (Atlanta, Ga: SBL & Leiden: Brill, 2003). Ead., Ester (Belichting van een bijbelboek; s Hertogenbosch: KBS 2003, 2nd ed, 2004). Ead., Het einde van de Alpha-tekst van Ester. Vertaal- en verhaaltechniek van MT 8,1-17, LXX 8,1-17 en AT 7,14-41 (Peeters, Leuven, 1997; Dissertation in Dutch). *Note that the opinions expressed in any interview on this site do not necessarily reflect my own.